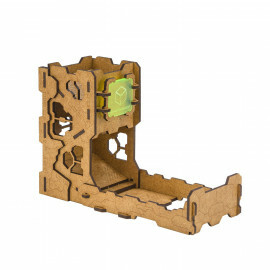 TECH line is characterized by high quality workmanship and unusual way of decorating. 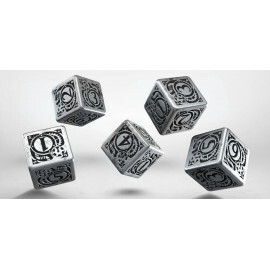 These dice are made with metal and are fully covered with carving - even on the edges. Design refers to sci-fi, space ships and secret technolgoies. 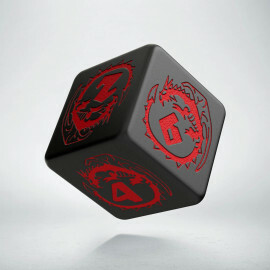 Set cotains five cubic dice, created to enhance your gaming experience! Starfleet officers and specialists may have had great experiences using use the great, but still plastic dice from the Tech line. To give them a wider variety of choice. Q WORKSHOP created metal sets in two colors black and blue, both especially for experienced RPGS veterans (Rocket Patrol of Galactic Services, etc.). Dice are made of excellent tin and decorated not only with engravings on the surface, but also with carvings on the edges and corners. 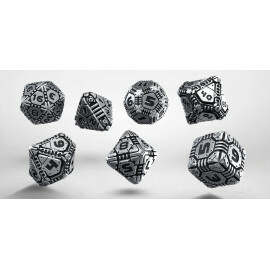 These dice were inspired by best stylistics projects of the Star Service. They fit every Fleet representative. The star pirates will also appreciate them. We tested them in the space suit gloves and they can easily be used in any conditions, even on the furthest reaches of the galaxy. They are delivered in a tasteful box, great for gifts and tokens of good will for all known and unknown cosmic races. We guarantee that it is the best product on the market that no alien will crack and chew. During the tests, several cosmic creatures tried to steal them, considering them to be the most valuable earthly object they saw. 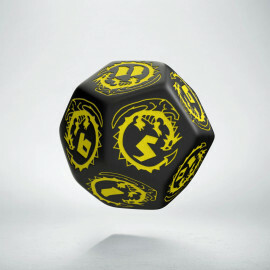 Our dice make an impression in all situations.